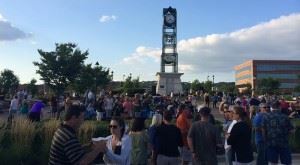 The UCBMA supports the Thursday Night TAKEOVER on the Square Concert Series each week from June to August. This FUN and family-friendly event featuring a local band, food vendor, and beer truck. It’s a great way to wind down after work and socialize with friends. Bring your blanket or lawn chairs and join us! Stop back for more details!